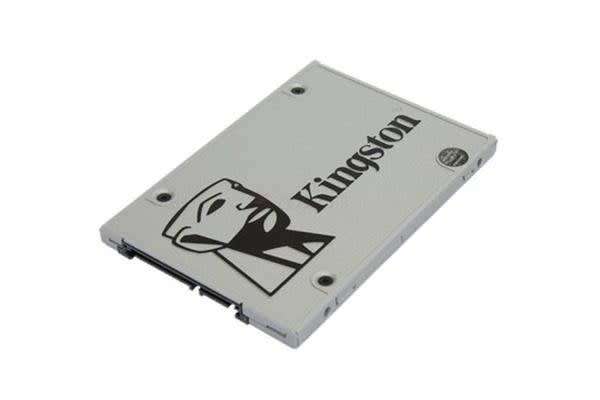 Kingston’s UV500 SSD dramatically improves your system’s responsiveness with incredible boot, loading, and transfer times compared to mechanical hard drives. It uses a Marvell 88SS1074 controller and 3D NAND Flash to power through daily tasks and improve productivity. UV500 also provides end-to-end data protection using 256-bit AES Hardware-based encryption and support for TCG Opal 2.0 security management solutions. The UV500’s available in multiple capacities from 120GB-1.92TB1 giving you options to meet your system’s needs.